We’re putting the finishing touches on the Sierrita prototype now. What is it? 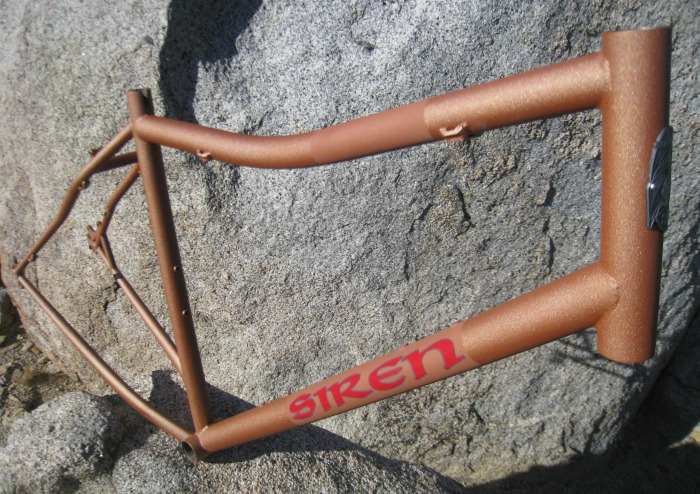 Sierrita is a drop bar, 29″ dirt tourer… and the next addition to the Standard Handbuilt line, joining the John Henry. 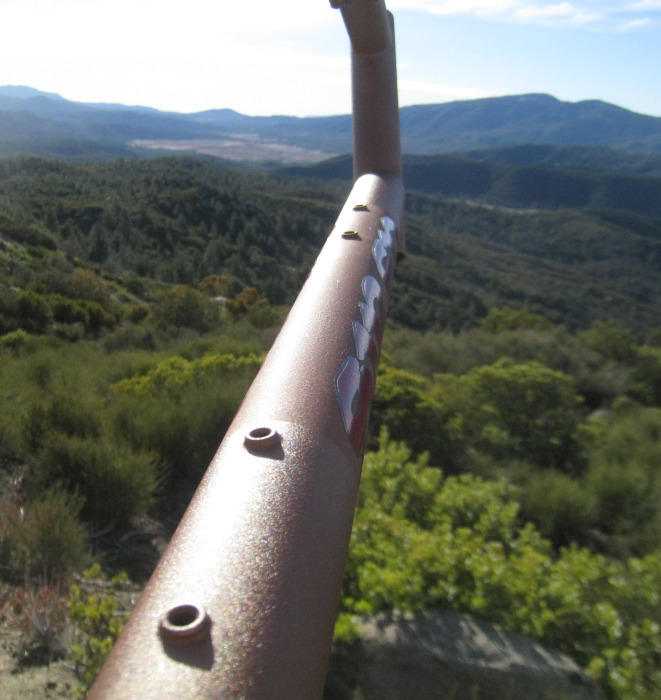 Sierrita features drop bar fit, and geometry designed to carry touring loads over a wide range of trail surfaces, including singletrack, dirt roads, and asphalt. Chainstay length, head & seat angles, and bottom bracket drop all play a huge role in this bike’s versatility. 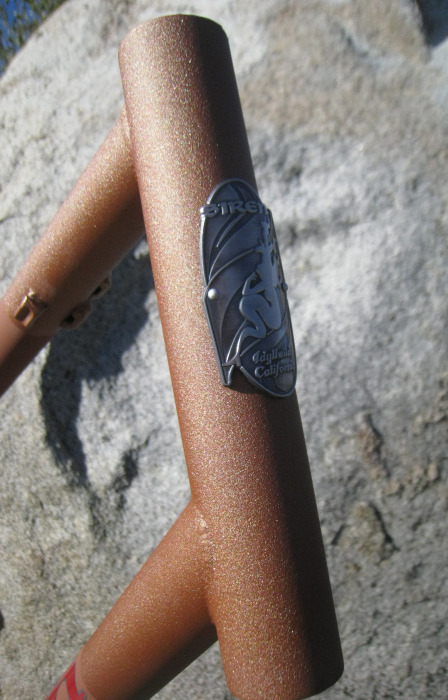 The bike has much improved standover clearance compared to straight-tubed 29″ers of this size. Other features include full length cable routing to assure good shifting performance in mucky conditions, and rack mounts. 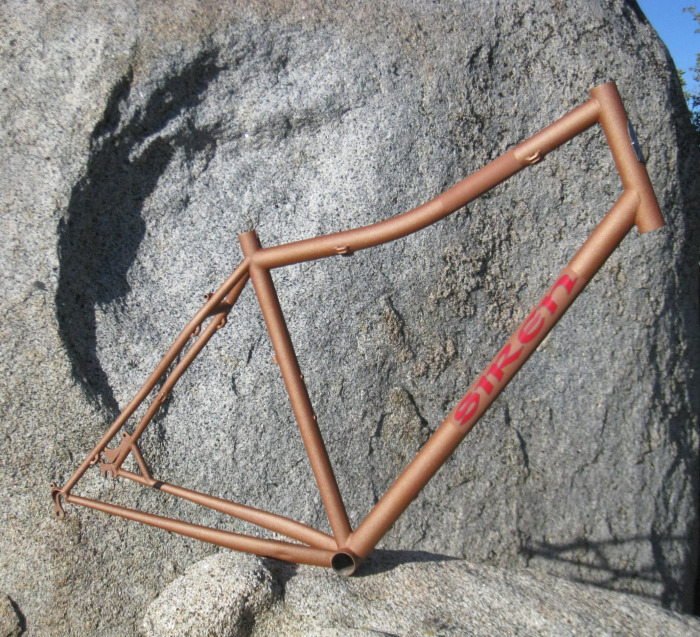 The frame will also accommodate four large water bottles on the frame. Sierrita borrows her name from the mountain ranges south of Tucson, AZ, where the design was inspired. This first one is going to our friend, Matteo, who lives in the area. Likely uses for the bike include long distance commuting, cruising border crossers’ trails, all-day explorations, riding singletrack, and a very long ride in a place far, far away that I’m keeping quiet about. 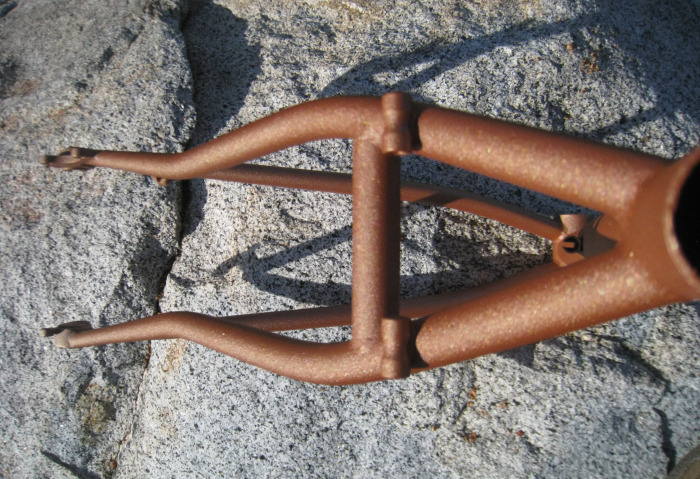 The final Standard Handbuilt version will likely have horizontal dropouts with a derailleur hanger, for singlespeed/fixed versatility and easy repair should your derailleur go south on you in the middle of nowhere. As you might imagine, the frame will accept everything from 700c cross tires up to large 29″ tires with plenty of mud clearance. The stays use our unique hidden brake line routing for improved durability. wow. got geo details, pricing, etc? Agu, I’ll send something your way in the next few days, once we’ve finalized the fit/geo chart. You can expect the pricing to be similar to the John Henry. Cool name. Matteo’s gotta be stoked. Scott, thank you for that fantastic blog link. I sure hope he likes it… he’s been out of cell reception for the week and I haven’t been able to reach him! PS- I’m aiming to do some riding in your parts come late April. Is there a Softail option? Could you hurry up guys! What happened to this bike? Looked like a real contender.